You can ship just about anything by air. 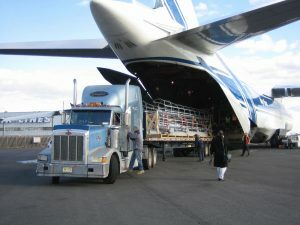 Letters, packages, cars, horses, construction equipment and even other airplanes can be shipped air freight. Today, almost anything can be transported by air. People, pets, food, cars and even helicopters can be shipped by plane. Beyond the logistics of getting to and from the airport, often freight operators share very little on their methods or machines. When hundreds of travellers and their luggage pile into a commercial passenger plane, it’s hard to believe that there’s room for anything else. In reality, almost every passenger flight is carrying additional freight. The U.S. Postal Service alone leases space on 15,000 of the approximately 25,000 scheduled passenger flights each day. Commercial airlines make about 5 to 10 per cent of their revenue from hauling freight. 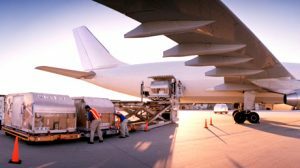 Packages are generally consolidated and transported in special containers that fit the plane’s storage area beneath where passengers sit. Some freight may be loaded on to pallets and any remaining space may be home for loose items. Of course many planes also have a temperature-controlled and pressurised area for transporting animals, which are also protected from other cargo and luggage. 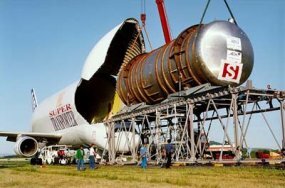 Dedicated cargo planes or freighters can carry immense loads of air freight. Shipping companies (like FedEx and UPS) own many different types of cargo planes. One of the larger ones is the Boeing 747. When configured as a freighter, the Boeing 747-400 can hold about 736 m3 of cargo. That’s about as much as five semi trucks can haul. Picture a passenger plane but with all the seats stripped out and the floor replaced with electric rollers to help move pallets forwards or backwards. The lower level can also hold cargo by pallets and special containers. For shipping horses, there are special containers called airstables that connect to pallets and fit in the cargo hold. The world’s biggest transport plane is the Antonov AN-225. 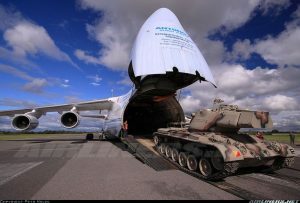 With a cargo capacity of over 250 tonnes, this plane can haul not just one, but up to three or four military tanks. This plane was originally designed to carry the Russian version of the space shuttle. Plans for the shuttle were put on hold, and the plane has been grounded since the early 1990s. The plane was recently restored, and it made its first test flight on May 7, 2001. 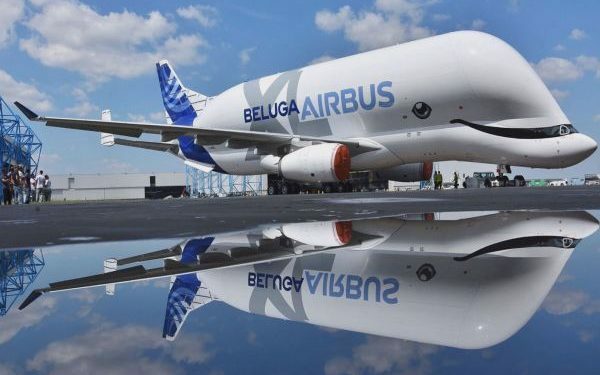 Its wingspan is almost the length of a football field, and its cargo hold can fit 80 cars. What is Edge Computing? Are Medical Drones the Future of Healthcare?